Join other motion designers, animators, and VFX artists in the Twin Cities to network, show off work, get help on that troublesome After Effects comp, or just talk shop on Thursday April 26th at Channel 6 in NE Minneapolis. Along with the guest speaker, we’ll also have time to share work, inspiration, or get help from the group. So bring something to share, whether your latest work or a problem you’re trying to solve! Tara Iannarelli works as a digital artist at Afterglow Studios, located in downtown Minneapolis. 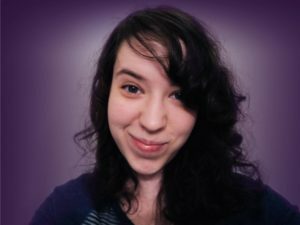 In this month’s presentation Tara will provide an overview of multiple videos, and talk about her creative process of working in tight time-frames. Earlier this month Adobe pushed out the 15.1 update of After Effects. We’ll demo new features like Master Properties, Advanced Puppet Tool, data import options, easier property linking and testing, and more! We’ll also discuss known issues and any questions that might come up. Channel 6 has a small free parking lot. First come, first served. Street parking is also available.